Brooklyn-based Sixpoint Brewery, creator of the “Lil Wisco” beer, reached a re-naming agreement with Brad Stillmank of the Stillmank Beer Co, based in Green Bay, Wisconsin. Stillmank, creator of the “Wisco Disco” brew, distributed throughout northeastern Wisconsin, brought a trademark concern to Sixpoint founder Shane Welch’s attention in late October of 2013. Sixpoint had recently begun limited, draft-only distribution of its Lil’ Wisco brew in southeastern Wisconsin. 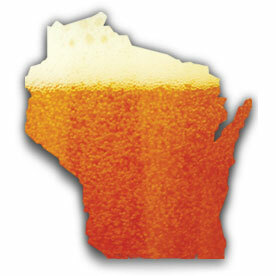 After initially agreeing to a cap on the volume of Lil’ Wisco distribution, and to limit it to draft-only sales, Welch suggested simply changing the name of the Lil’ Wisco to “Lil’ Wisconsin” and forfeiting the name entirely to Stillmank. Stillmank was satisfied with the change, now slated to take effect in early 2014.